The Carolina Business Law Blogby Matt Cordell: New Foreign Remittance Transfer Rules Become Effective Soon! 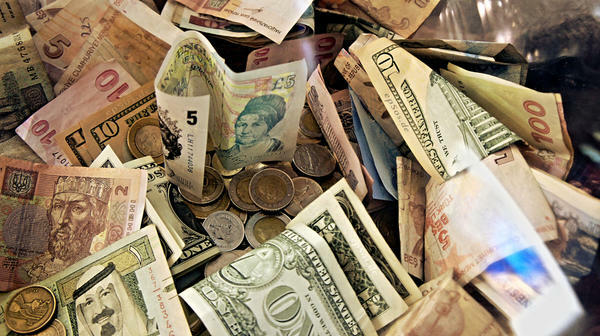 New Foreign Remittance Transfer Rules Become Effective Soon! Consumers in the United States send billions of dollars overseas each year, according to the Consumer Financial Protection Bureau (CFPB). The classic example is the immigrant or migrant worker who sends funds from the U.S. to support family members overseas. The CFPB has issued rules under authority granted by the Dodd-Frank Act that are intended to protect consumers who send money electronically to foreign countries. Financial institutions and "money transfer businesses" have only a matter of weeks to decide whether to continue to offer covered services, and if so, to establish processes and procedures to comply with the new rules. The CFPB promulgated a "final" rule in February of 2012, but that rule has already been modified by another "final" rule, which is being referred to as the "2013 Final Rule." (There have been a total of six rulemaking releases on this topic, with the latest following the 2013 Final Rule to make technical corrections.) The 2013 Final Rule takes effect on October 28, 2013. Under the 2013 Final Rule, a “remittance transfer” is an electronic transfer of money from a consumer in the United States to a person or business in a foreign country. It includes wire transfers, automated clearing house (ACH) transactions, and other methods. The rule applies to most remittance transfers if they are more than $15.00 (USD). Fees and taxes collected by the originating company (e.g., the U.S.bank). o The 2013 Final Rule makes optional the disclosure of taxes collected by the foreign country, in some cases. Fees charged by the company's agents and intermediary institutions. o The 2013 Final Rule makes it optional, in certain circumstances, to disclose fees imposed by a recipient’s institution in the foreign country for transfers to the recipient’s account. The (net) amount of money expected to be delivered abroad (though not necessarily accounting for certain fees charged to the recipient or foreign taxes). A disclaimer that additional fees and foreign taxes may apply. After the consumer has received these disclosures and consented to initiate the remittance transfer, the company must provide a receipt that repeats the above information. In addition, the receipt must tell the consumer the date on which the money is expected to arrive in the recipient's account and how the consumer can report a problem with a transfer. Consumers get 30 minutes to cancel a remittance transfer after they have consented to the transfer. Consumers get their money back if they cancel within this timeframe. Companies must investigate if a consumer reports a problem with a remittance transfer. For certain errors, consumers can generally (i) get a refund or (ii) have the transfer sent again without additional charge if the funds did not arrive as promised. (This might not apply under the 2013 Final Rule if the consumer provides an incorrect account number or misidentifies the recipient institution.) Companies that provide remittance transfers are responsible for mistakes made by those who work for them. The 2013 Final Rule also contains specific provisions applicable to scheduled transfers, as well as recurring transfers. Exemption. There is an exemption from the Rule for companies that consistently provide fewer than 100 remittance transfers each year. Companies should note, however, that some providers may decide not to continue to offer remittance transfers in light of the burdens imposed by the Rule, and therefore those companies that do continue to offer remittance transfers may see an increase in volume in the coming year. The 2013 Final Rule, which is far more detailed than this brief summary, can be viewed in its entirety here. There are hundreds of thousands of Western Union agents around the world so transferring money with them is easy. The money can be received straight away but you do have to pay for what you are getting. Hello I am so happy with your blog site, it contains all the matter with regards to Send money to India Good luck to you and your well performed job. Thanks for keeping us updated with the latest information for send money online to India. Private Funds Direct as I am very satisfied with their returns! Very informative post, keep posting. Los Angeles Hard Money Lenders are the easy way to get loan. Borrowers deal directly with lenders have easy conditions and procedures as banks require lengthy procedures and strict statements.